While the Handbook is an all-encompassing resource for academic purposes including teaching and exam preparation, the lab-coat-pocket-size of the Minibook is ideal for clinical use, providing all crucial clinical references in a condense and concise format. The Minibook includes the following essential information for quick clinical reference: 159 Eastern and Western diseases with associated TCM patterns and treatments; comprehensive acupuncture chart including eastern and western indications with clinical notes for 361 points; comprehensive chart for 381 single herbs and herb comparison charts in alphabetical order; comprehensive chart for 261 herbal formulas and formauls comparison charts in alphabetical order; biomedicine including diagnosis, diseases, patient intake and top 300 drug list; various treatment information including Korean medicine, Tung style acupuncture, complementary modalities, cosmetic acupuncture and essential ICD-9 & CPT codes. H.B. 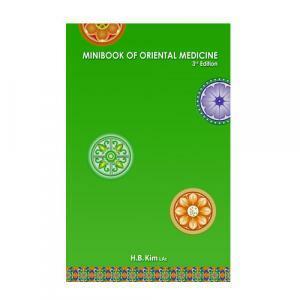 Kim’s Minibook of Oriental Medicine is an essential reference tool that I use daily in my practice of acupuncture. The crucial information presented in this book is easily accessible to any practitioner. 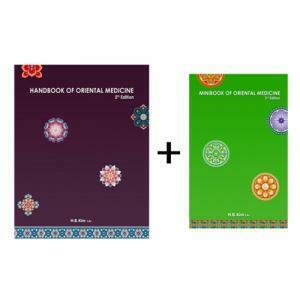 More than encyclopedic knowledge, this manual is an objective key to unlock the logic of Eastern diagnosis and treatment. Dr. Kim’s efforts have transcended mere definition, and have produced a volume more akin to charts and maps designed to navigate the great seas of the Eastern healing arts. – Robert N. Darnell, C.Ac., D.C., Ph.D. I had the great honor of going to acupuncture school with scholar and author HB Kim. I was fortunate to be able to have attended his review seminars weekly. Mr Kim’s seminars and lecture notes were always lucid, well-prepared as well as highly-organized. I have always been astounded by this man’s ability to present complex layers of information in a concise cogent manner. He is a true scholar and teacher. Now, all of these years later, I still have HB Kim’s clarity and organization with me in my pocket daily – in the form of his Minibook. I work in a fast-paced clinic. I need answers fast. I dip into the front pocket of my lab coat and there I find Formulas, Point Combinations, quick reference pictures, individual herbs as well as colored pictures of herbs! Everything an Acupuncturist on the run needs at his finger tips. This handy little volume is a must have. 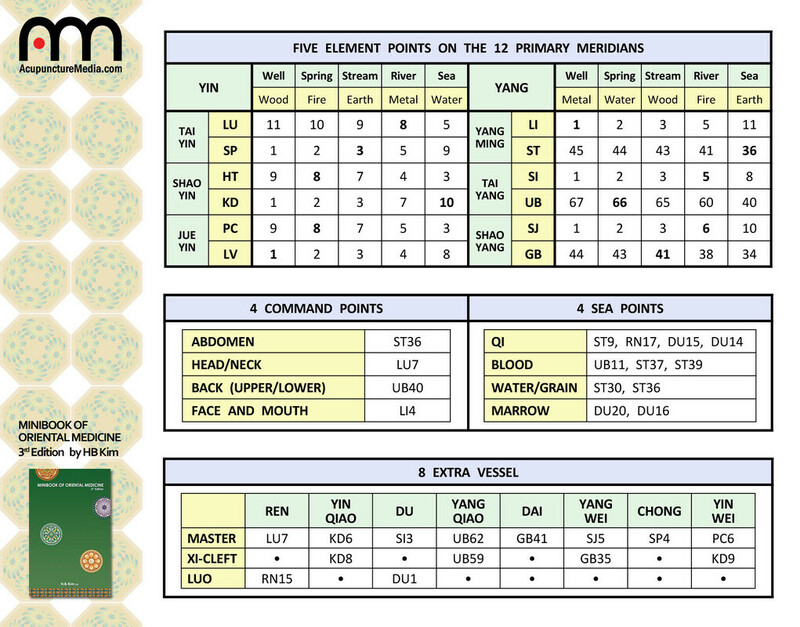 HB’s Minibook is an invaluable reference for any busy acupuncturist. It is a delight to have so much condensed knowledge at your finger tips during a hectic work day. – Victor O, L.Ac. Here is my heartfelt gratitude to the good fortune that lead me to meet, enjoy, and learn from HB Kim’s disciplined, enlightened mind in his California Acupuncture Board Exam Review classes as well as in his books on Eastern Medicine. I recently went to get a second copy of HB Kim’s Minibook of Oriental Medicine from a TCM university bookstore in Los Angeles, and learned that “It’s out of print. Everybody is asking for it. We heard people willing to pay over a hundred dollars for it, but still couldn’t get a copy!” No wonder. HB Kim must have threaded through forests of information, analyzed, then synchronized their essence into this concise, condensed, mapped guide and companion I find indispensable to my practice. How human life in its complex dynamic energetic processes was perceived and appreciated by many teachers in the East is made alive through HB Kim’s brilliant contribution to the health field here in the West where I am fortunate to live, serve, and continue learning. – XA Le, B.A., L.Ac. Several years ago, I found the Minibook in my school’s bookstore. I cannot overstate how much I loved it. When you open the first page you will realize how precious this book is to a practitioner. It was remarkably helpful to my professional career. The information in this book has empowered me and expanded my understanding of acupuncture and herbal medicine. Dr. Kim’s love and devotion for teaching has guided many students to achieve their success. This book is very well written. I was amazed with the level of detail about Eastern medicine. It clearly and concisely provides all the clinical information you will need for your practice. – Sun Lee, L.Ac. Dr. Kim’s innovative Minibook has everything you’ll need to start and complete a successful acupuncture treatment. It describes every meticulous step; from diagnosis, to the impeccable choice of points, to the appropriate herbal medication. This book has it all! 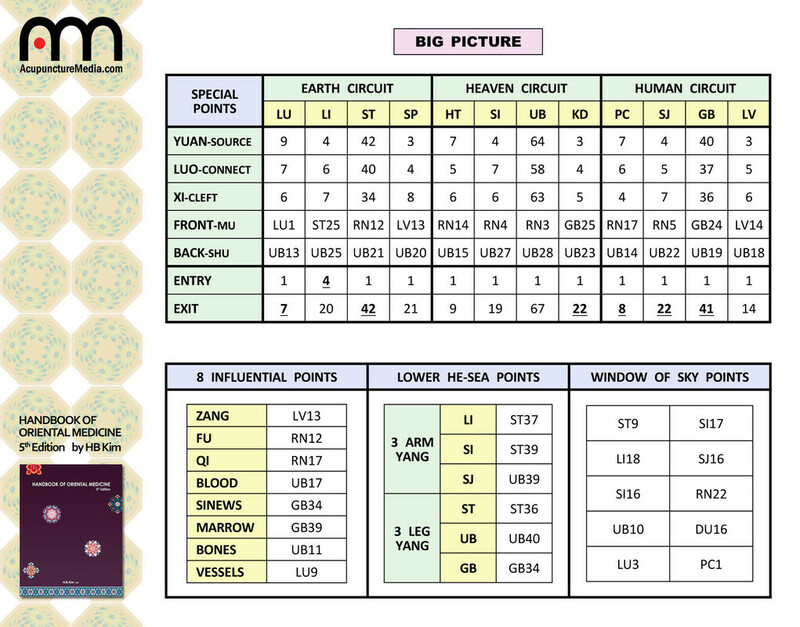 The diagrams and charts are incredibly easy to follow while you plan your patients’ care. Dr. Kim is a remarkable teacher. His heart for teaching is evident both inside the classroom and in this latest book. 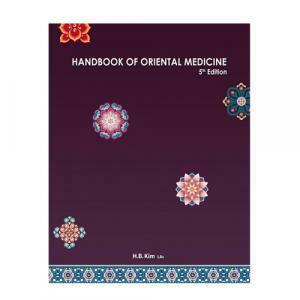 If you are passionate about learning and practicing Eastern Medicine, don’t miss out on this must-have guide to make your treatment process easier. – Joseph Koh, D.A.O.M., L.Ac.